Playing for your country in a World Cup Finals is, for many, the pinnacle of their career. Sadly, as we reported recently, Click Here, Manuel Lanzini will not be part of what many perceive the greatest football festival there is, a festival that commences, in Russia, this coming Thursday. Lanzini has been deprived of playing for his country, Argentina, after picking up a serious knee injury whilst training with Argentina ahead of the competition. 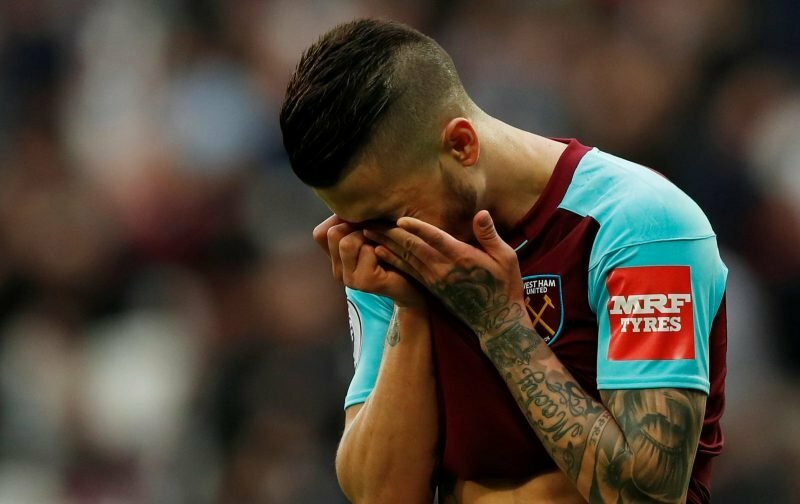 The injury is so severe that it is expected Lanzini will be side-lined for up to nine months, thereby implying that the popular player could miss a huge chunk of the 2018 / 2019 season. But, since picking up the injury, his fellow Hammers have been doing their utmost to raise his spirits, utilising the social media network to do so. Here at Vital West Ham we echo those sentiments and we wish Manuel all the best as he begins a lengthy rehabilitation programme.